Facebook serves many useful functions. It helps you set up events, send messages to friends and family, and even organize groups. These are all side benefits, though. The main feature—the real thing Facebook wants to sell you—is the News Feed. Too bad it’s so broken that it’s almost useless. News Feed is the constantly updating list of stories in the middle of your home page. News Feed includes status updates, photos, videos, links, app activity and likes from people, Pages and groups that you follow on Facebook. 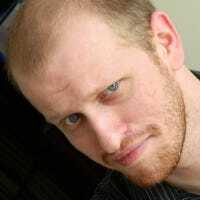 In a video on the same page, VP of Product Management Adam Mosseri explains that the News Feed is like ordering for your significant other at a restaurant before they get there. You know what’s on the menu, and you know what kind of foods they like, so you make an informed decision and pick something for them. In the same way, Facebook tries to take inventory of all the possible stories you could see in a given day, predict which ones you’ll like the most, and then show them to you. The problem happens in that middle step. Put simply, Facebook is terrible at guessing what posts you care about. It uses details like which posts are getting a lot of likes and comments, or how recent a post is, to determine whether you want to see it. Whereas you might care more about your best friend’s post from three days ago with no comments way more than you care about your coworker’s post from five hours ago with thirty comments. Facebook is fundamentally incapable of making this decision. Anyone you recently added as a friend. Facebook seems to give a temporary boost to people you have recently added as a friend. Of all the apparent influences on the feed, this at least makes the most sense. If you meet someone at a party you might want to get to know them better. However, this often comes at the expense of bumping someone you’ve known longer down the priority list. People (but not pages) who post very frequently. If you’re Facebook and you need to fill people’s News Feed with stuff they’ll like, then a user who posts constantly will be your best friend. I took a look at four of the people I see most often on my feed and found that they posted, on average, anywhere from five to twenty-two times per day—and that was over a week that included Christmas. In my experience at least, Facebook seems to reward frequent posting. Notably, this does not seem to extend to Pages. Even among the Pages I follow that post several times a day, I might never see them at all. In other words Facebook assumes you care more about the friend who can’t stop sharing than a news site or celebrity that has a lot of content to share. This assumption makes sense, but also vastly overestimates how much I care about Aunt Janice’s copious cat memes. Posts that drive a lot of controversy or engagement. Engagement is one of the most well-known guiding lights for Facebook’s News Feed. If people are liking, reacting, and commenting a lot, it must be a popular post, right? Sure, by the numbers. However, this has the nasty side effect of promoting political arguments or vaguebooking drama over, say, your best friend posting that they’re having a rough day. Promoted posts almost every time you scroll. Facebook offers a free service to over two billion people, so it’s no surprise they have ads. However, the News Feed’s ads aren’t your typical side banner type affair. They’re inline with other feed items at full size and occur far too often. A quick scroll through my own feed showed a pattern of five real posts followed by another ad, repeating indefinitely. That means the News Feed is about 17% ads. Oh, and you get a bonus ad after the very first post in your feed. You’ll notice that none of these criteria really describe people you would care about. Instead, it describes what Facebook wants to show you so that you’ll keep using the feed. It’s unclear if Facebook prioritizes things like the people you message frequently, the people you’ve known the longest, or the people you spend the most time with as highly as the above criteria. What is clear is that Facebook needs to fill your infinite scrolling, constant updating feed with something. Even if you care more about your best friend’s one post per day than you do about that person you met at a party once who shares politically charged memes all day, but that’s not gonna fill the feed. Facebook would rather have you engaged and arguing with strangers than catching up with your friends for ten minutes and calling it a day. * Unfollowing may be temporary, ask your doctor if unfollowing is right for you. Hide specific posts. This hides an individual post from your feed so you’ll never see it again. After this, Facebook gives you the option to temporarily mute either the page the post came from or the person who showed it to you. Unfollow a person or Page. 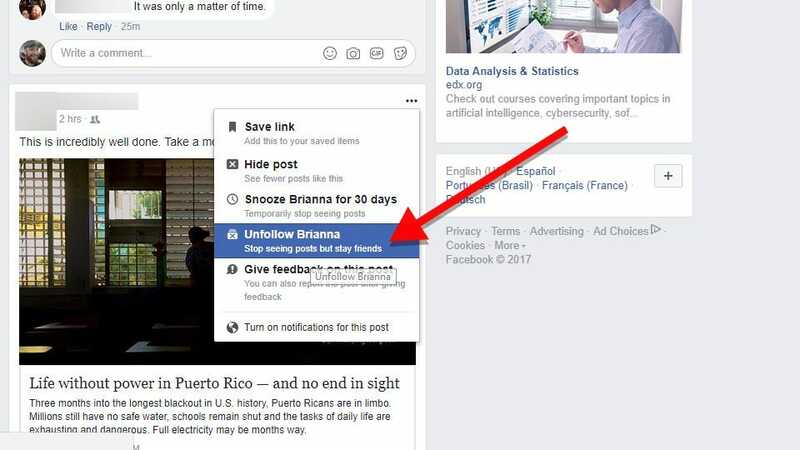 This option lets you hide everything from a certain person or Page from your feed indefinitely without defriending (or unliking) them. This doesn’t seem to have a time limit, however in my own and others’ experience, Facebook seems to re-follow some people if you unfollow too many. If your feed gets too dry, Facebook appears to pick people from the bottom of your unfollow list that you stopped seeing ages ago and reintroduces them to your feed, hoping you either won’t notice or you’ll like seeing them again. Snooze a person or Page. This is like the unfollow option, but with a time limit. Maybe you just need a break from that one annoying person during the holidays, but you want to hear from them again come the new year. Facebook’s algorithms might actually prefer this, since it doesn’t permanently cut off a source of content. The above tools let you tell Facebook what you don’t like, but there’s only one tool you can use to say what you do like: See First. If you go to a person’s profile and hover over Following, you can choose to see that person’s posts at the top of your News Feed. This seems great at first glance, but in practice it’s more like a suggestion than a command. Facebook only shows me some of the posts from the people I want to see first, which has led to more than one awkward conversation later. “Did you see the artwork I posted?” Well no, sorry. Despite explicitly telling Facebook I want to see your stuff, it just didn’t appease the algorithm. Of course there’s one other positive feedback metric Facebook uses: your engagement. If you like or comment on a post, then Facebook assumes you want more of that, but again, this fails to understand how we actually use Facebook. Even if a random acquaintance posts more, I care more about the close friends that I spend time with. I want to make sure I see what they say, even if they only speak up every once in a while. To adapt Facebook’s own analogy based on a conversation with a friend (thanks Andrew), imagine you were ordering at a restaurant for your spouse and the waiter asked if they had any allergies. You mentioned that your partner was allergic to peanuts, and the waiter says “Great, thanks!” then walks off. He brings you a randomly selected meal from the menu. You and your partner, already very hungry, decide to just eat the meal instead of fighting over it. It’s not quite what you wanted, but at least it’s food. As you leave, the waiter is satisfied that he picked such a good meal for you. That’s how Facebook’s algorithm works. It doesn’t ask what you want, it barely cares when you tell it, and it thinks it’s done a good job because you interact with the content it chose to show you when you have little other choice. From Facebook’s perspective, this is still a win. Facebook doesn’t care why you keep scrolling or engage in the feed, as long as you see a new ad every five posts. From a user perspective, though, it starts to feel more like a chore to scroll through the feed than a genuinely useful way to keep up with family and friends. If Facebook is so bad at showing us the stuff we really care about, why doesn’t Facebook try to do better? The answer is simple: You wouldn’t use a News Feed that was only full of stuff from the people you care about the most. And it’s really hard to run ads against an empty feed. According to Facebook’s stats from 2016, the average user spends 50 minutes using some combination of Facebook, WhatsApp, or Messenger each day. That doesn’t sound like a lot but spread that over, say, 25 two-minute sessions throughout the day and that’s a lot of content Facebook has to find for you. Facebook’s never going to reach a point where they say “Well, that’s all your close friends have to say! Maybe you should go outside.” They’ll fill it with anything to keep you scrolling through the feed, but they’d prefer it be from people you know. Pages—and especially links shared from pages—aren’t as popular. Presumably, this is partially because it can lead you to spend time outside of Facebook. 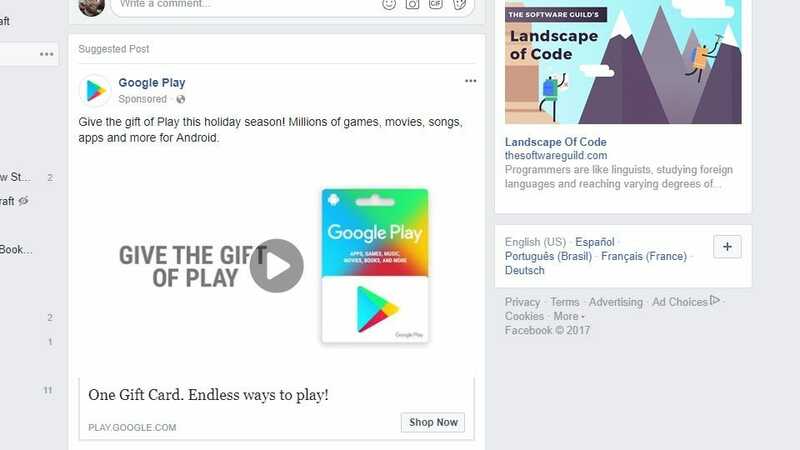 If you click a link on Facebook and then spend the next ten minutes browsing some other site, Facebook can’t show you any ads. But if you keep arguing with every dumb political post your uncle made, you’re probably gonna scroll past a few. 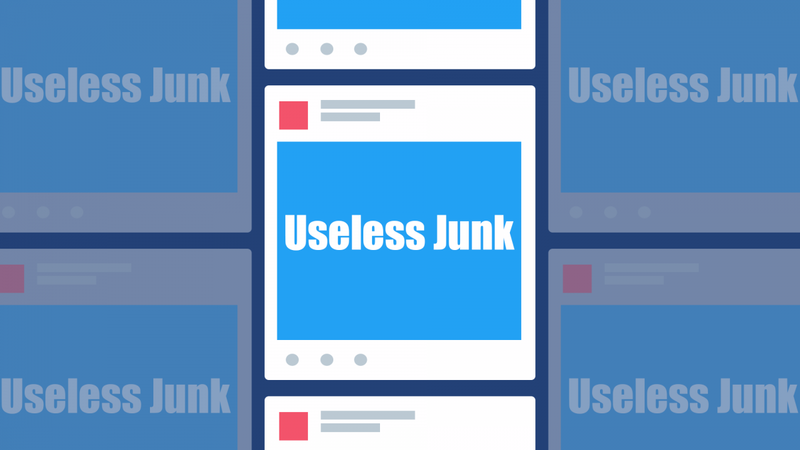 We can complain about it all we want—may I suggest a good rant on Facebook?—but at the end of the day, Facebook’s News Feed is designed to keep you idly scrolling past things you kind of like but can’t look away from, rather than keeping up with the people you care the most about and then moving on with your day. If you want to see the most important stuff to you, you’re better off subscribing to news sites in Feedly, following public profiles on Twitter, or just texting your friends and family and ask how they’re doing.